The Lone Star Contest is Friday, Saturday, May 3rd, 4th!! Come fight for the Gorgeous Lone Star Belt Buckle!! Come fight for the Texas Championship Series!! This is Stage 2!! Come fight for the Grass Roots Award!! –Dinner provided by Chapter 24 and cooked by the Ranch Hand! —Outside on the Patio! Casual, Cowboy Chic!! Lunches will probably be provided! Hotels: 2 Bed and Breakfastsare already reserved!! Just email us if interested!! holds up to 16 guests in 2 houses. A combo of king/queen/twins! 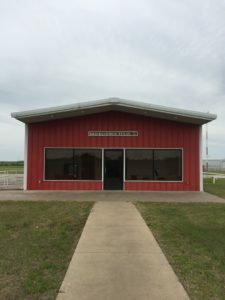 –The Keeping Room 900 W Walker St, Breckenridge TX 5 minutes from the airport. type of way folks!” The cost will be lower than the hotels, around $40-$60 and you pay once you get here! —Please reply if you’re interested as there are a limited number of rooms available! If you’re solo or a couple or a family, just let us know and we’ll mark you for the appropriate room!! $114 Rooms blocked under Julia Wood. Registration is in the Red Terminal Building next to the Self Service Fuel. Hangaring is in the Brown Hangar to the North of the Red Terminal Building! Call or email with any other questions!! !